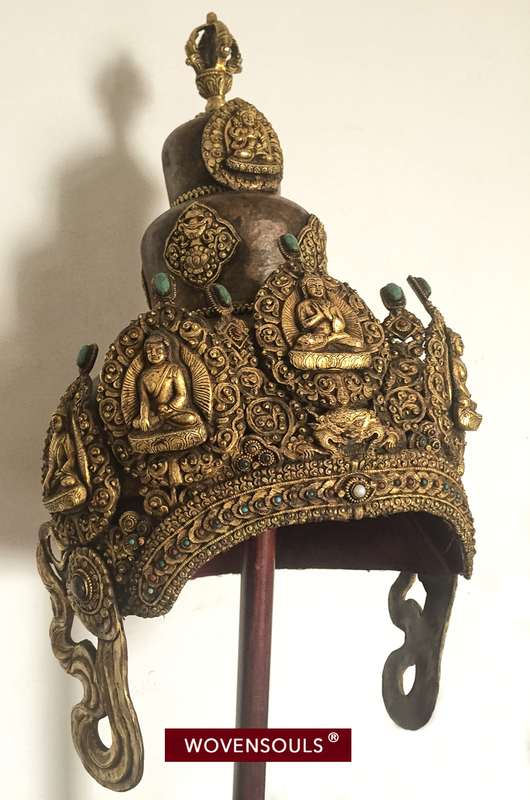 A large yet simple copper crown or Mukut worn by learned Buddhist priests known as Vajracharyas or “Master of the Thunderbolt” during religious ceremonies. The weight of this crown is probably easier to bear than the weight of the responsibility placed on the head of any priest! This entry was posted on May 7, 2016 by wovensouls in DAILY ART FIX and tagged Buddhism, Buddhist, buddhist monk, ceremonial crown, ceremonial headdress, crown, headdress, mukha, mukut, priest, ritual crown, Tantric, vajra, vajracarya, vajracharya.